Many important aspects of home maintenance and upkeep can end up lost among all the day to day chores and routines needed to keep a home running smoothly. The vast majority of homeowners don’t think about having their Waukesha fireplace and chimney system inspected on an annual basis until it’s too late. Don’t let this be your fate. Scheduling an inspection for your Waukesha chimney and fireplace can save you hundreds or even thousands of dollars in costly repairs. Annual chimney inspection, maintenance and preventive measures are vital when it comes to maintaining a safe Milwaukee fireplace and chimney. Without these inspections, homeowners are more susceptible to potential water damage, dangerous carbon dioxide gas leaks and home fires. 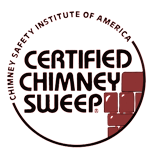 The Chimney Safety Institute of America (CSIA) strongly promotes having your Wisconsin fireplace and chimney professionally inspected and cleaned at least once a year. Milwaukee chimney inspection services from Wisconsin Chimney Technicians consist of both a basic visual inspection and the use of closed circuit cameras to inspect the interior flue. Our trained and professional Waukesha chimney inspectors will go over your Milwaukee fireplace and chimney from top to bottom, inside and out, to guarantee any problems or issues are found and quickly addressed. 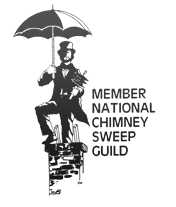 With over 30 years of experience, you can trust Wisconsin Chimney Technicians to provide the superior Wisconsin chimney inspection services necessary for keeping you, your family and your home safe. Wisconsin Chimney Technicians also provides excellent Waukesha chimney flue resurfacing and repair services, Milwaukee chimney tuckpointing, and Kenosha flue cap installation services. Call the professional Kenosha chimney inspectors at Wisconsin Chimney Technicians today at (262) 443-5933.